Ask any outdoor enthusiast: No day trip or weekend adventure is truly complete without a reliable waterproof shell. Whether paddling a nearby river, hiking in the rain, or hitting the slopes, a waterproof shell keeps you dry, warm, cozy, and comfortable—no matter what Mother Nature has up her sleeves. Yet not all shells are created equal. Those using 37.5 Technology, for instance, are uniquely suited to guard against the elements while keeping athletes’ body temperatures regulated. In short: 37.5 Technology seeks to keep your body *just *cool enough or *just *warm enough, no matter where you go or what you do. That technology comes in especially handy when facing the elements. The next time you’re outdoors, pack along one of these waterproof shells to protect against rain, snow, and sweat. How do you relax after a long day of mountain biking? How does wrapping up in a @thermarest Honcho Poncho and drinking a cup of coffee sound? Why We Love It: You deserve to relax after a long day on the trail, in the river, or at the mountains. Lounge in style with the Therm-a-Rest Honcho Poncho™. The plush poncho, which doubles as a blanket, uses 37.5 Technology to keep your temperature regulated, no matter how warm or cold the surrounding air may be, and the outer shell guards against wet weather. When you’re ready to head home, the lightweight shell packs into its own storage pocket for easy portability. Why We Love It: No natural challenge is too great for the Vertx® Integrity Waterproof Shell. The polyester shell uses VaporCore™, powered by 37.5 Technology, to protect against water, wind, ice, and snow—all while ensuring you’re never too warm or too cool, no matter the climate. Sealed seams and zippers help reinforce the shell’s waterproof characteristics. Beyond the waterproof features, the Vertx® Integrity Waterproof Shell can be altered to meet your unique outdoor needs. Adjustable components, including a hood, visor, and zippered ventilation flaps, mean you’ll enjoy a breathable fit and enjoy an ease of movement in a variety of environments. Why We Love It: Very few cyclists truly love riding in the rain, but the Ksyrium Pro H2O Jacket from Mavic makes long, rainy rides a whole lot more bearable. The lightweight, seam-sealed jacket features 37.5 Technology for full waterproof capabilities and breathability. 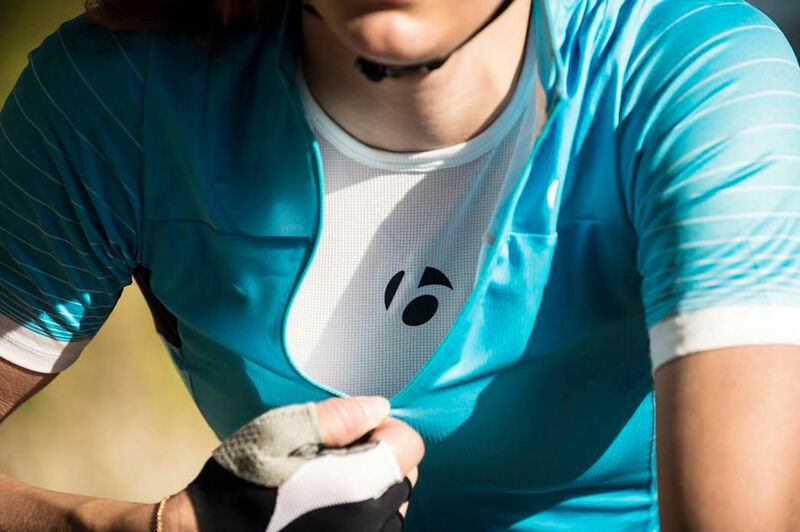 The jacket’s Clima Vent technology, meanwhile, promises permeability and moisture evacuation to keep cyclists cool in the midst of grueling rides. Why We Love It: Hunters and hikers alike swear by the Women’s Cascade Stormlight Jacket from First Lite, sporting a cut and fit tailored specifically for women. Hunters love the jacket’s wide range of motion and protection against rain—made possible by 37.5 Technology and its innovative fabric—while hikers love the lightweight material, weighing in at just 12 ounces, and comfortable breathability. Why We Love It: If you let a questionable forecast stop you every time the golf course called your name, odds are good you’d never lower your handicap. Stay one step ahead of the elements with the Elite Jacket from Sun Mountain. The waterproof materials—including a 2-way YKK Vislon waterproof zipper and waterproof chest pocket—protect against inevitable rainfall and ensure you won’t drown in the sand trap. Not just that, but the Elite Jacket’s use of 37.5 Technology relies on your body heat to enhance the cooling effect, which means you won’t sweat bullets on the putting green. Last year we took the College Bass video contest winner Tucker Hill out on Lake Guntersville. This year, we're showing winners Jacob Smith and Thomas Spivey the ropes out on Lake St. Clair. Why We Love It: Whether you fancy a relaxing Sunday on the water or the thrill of a deep-sea fishing expedition, you’ll love the Carhartt Force Extremes® Shoreline Angler Jacket. The breathable, water-repellent jacket provides enough bulk to protect against rain and wind, yet the 6.3-ounce shell is light enough for all-day comfort and durability. The jacket’s odor-fighting technology, meanwhile, ensures the smell of salt water and your big catch won’t follow you off the boat. Why We Love It: Sure, you could hit the slopes without the Nitro Alagna 37.5™ 3.5L Citrone jacket, but we wouldn’t advise it. The versatile jacket comes with several features essential to novice snowboarders and experienced shredders alike. You’ll love the YKK zips, water-resistant underarm zips for added ventilation, water-repellant material, mesh google pocket, zip audio pocket with room for your headphones cord, and plenty of space in the specially-designed hood for a helmet.